At CFG Law, we recognise as a firm the importance of giving something back, whether to the local community via fundraising or to those in need from the wider population as a whole. This is why our purpose is – ‘To help those affected by injury – together’. This encompasses all people who have sustained an injury and not just those who have a personal injury claim. To achieve our purpose, we work in partnership with other organisations who support and share our beliefs and core values. We are committed to evolving and changing the industry practice by leading the way. We are members of several panels showing our expertise in supporting those who have a disability as a result of their injuries, to receive the help and support they may require to rebuild their lives. Our memberships include the Spinal Injuries Association, Headway (the brain injury association), BASIC (the Brain and Spinal Injury Centre) and RoadPeace (supporting those seriously injured or bereaved after a road traffic collision). In addition, we are recognised by the Legal 500 as a leading personal injury firm and are an Accredited Personal Injury Practice with the Association of Personal Injury Lawyers (APIL). We are also finalists at the Manchester Legal Awards 2019 in the Personal Injury Team of the Year category. Platinum corporate members and Listed in the Spinal Injuries Association (SIA) Solicitors Directory. Members of the RoadPeace Legal Panel, helping people bereaved or seriously injured in a road collision. Every year, we nominate a charity of the year for the firm to raise money for. Colleagues are asked to put forward any local charities they believe should be chosen as the charity of the year and these are then put to a vote. Monthly dress down days and cake sales are held, with donations on the day going to the charity and the firm matching any amount raised. We run other charitable events throughout the year including themed dress-down days and cake sales. These charities are also nominated by our colleagues and are in addition to raising money for our charity of the year. Examples include Wear it Pink for Breast Cancer Awareness, Coffee Morning for Macmillan Cancer and HATS for Headway. In 2018, our colleagues raised money for Dementia Friendly Heatons. 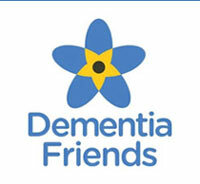 This charity provides a drop-in centre for people living with dementia and their carers, promoting a dementia-friendly environment and support and information for people living with dementia. We raised over £1000 in 2018 for this great charity, which was helped them to arrange events and activities for people who attend the drop-in centre and provide joy and happiness to people living with dementia and their loved ones. We realise the importance of our responsibility towards a healthy global environment and have identified opportunities to contribute to the environmental betterment of our colleagues and clients alike. We promote behaviours and leverage best practices and technologies to reduce the persistence of paper in the workplace. In 2019, we aim to reduce our paper storage by 60%, as well as reduce our physical consumption of paper by 60% and have implemented supporting business practices and technologies that support paper reduction in the workplace. We believe our colleagues are our greatest asset and we are committed to ensuring everyone is afforded appropriate training, support and development throughout their career here at CFG Law. We aim to provide a safe, secure and supportive environment for all colleagues and have a number of policies and benefits in place to ensure their wellbeing. We treat all employees equally and create a working environment which is free from discrimination and harassment and which reflects the diverse background and beliefs of employees.